We’ll be closing our tasting room early on Saturday, February 2nd, 2019 at 6:30pm for a Private Event. 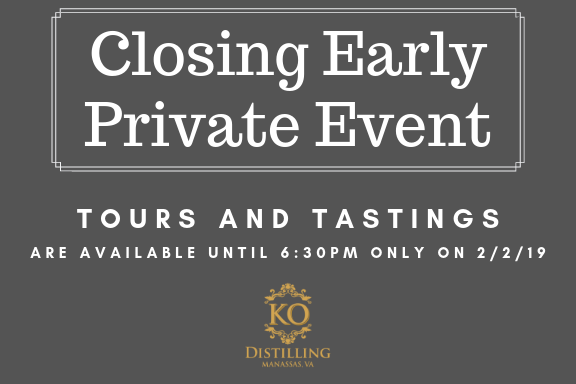 Book your special event at KO Distilling! Email inquiries to info@kodistilling for pricing and options!